Classic Thai Boxing Knee kick. The knee kick is one of the most beloved moves of Krav Maga. Well, not all styles of Krav Maga. At IKI we take some issue with this iconic kick. The knee kick is most popular in Muay-Thai (Thai boxing) and in several forms of Karate. 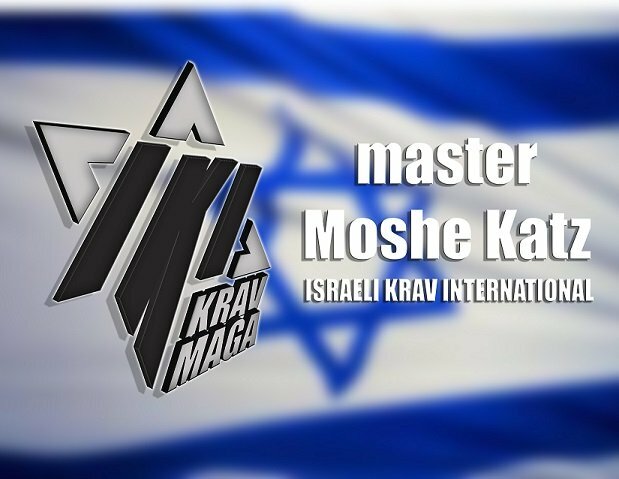 In recent years it has always become identified with Krav Maga. The knee kick is somewhat deceitful. It is like using a great opening line once and then believing this one line will always be your secret to success. Not every line works in every situation. The knee kick is certainly a powerful kick and a tool that every martial artist in every style should have in their personal arsenal. We should all know how to use it effectively. When performed effectively in the correct situation it can cause extreme damage to an opponent. A study called Fight Science demonstrated that when performed by a champion fighter the knee kick has the same effect as being hit by a car traveling at 35 miles per hour. It can cause death. The knee kick is also quite versatile as it can be used in a variety of situations and delivered from several different angles. Thus martial artists love this kick and use it as their "go to" technique, i.e. use that knee kick whenever you can. However there are some short comings which most martial artists seem to ignore. Krav Maga is about self defense. That's it, nothing else. It is not about tournaments, it is not about shows, it is not about making an impression, it is not about selling tickets, it is about survival. There are many situations where using the knee kick is a deadly mistake. Very often your hands are your best weapon, they are the ones closest to your opponents' face, they are the ones we are most comfortable with. As babies we use our feet a lot. As adults, during our daily lives we use our feet for walking while we do the vast majority of our tasks with our hands. In many self defense situations our hands are the nearest weapon. We use the concept of "Nearest weapon - nearest target". I.e. our weapons are our hands and feet, knees and elbows. We use that weapon which is closest to the target. This is simple logic. Thus, if I were to block a punch the nearest weapon to my opponents face or neck would naturally be my hands, not my knee. While the hands are right there my leg is still on the floor. Yet what I see in other styles of Krav Maga is an obsessive use of the knee kick as if this is the only weapon available. They block the punch and then their hands go straight to the opponent's shoulders, and then they lift their leg to do the knee kick. That is a waste of time and using way too many steps. Thus from a physical technical point of view, if I block your punch with my arms, my arms are now very near your face, so why would I rest my hands on your shoulder while bringing my knee up all the way from way below? During this brief but important delay the opponent has a chance to counter or reposition himself. The kick looks great in demonstrations, powerful and might, but in reality it might never make the show. No one is waiting for you. Our system is based on logic. We have many tools, among them the knee kick, but we allow the situation to dictate the best weapon. If you were to randomly pick ten Krav Maga advertisements, I guess nine would have the knee kick. It is a crowd pleaser, it looks nice and brutal, but the plain truth is that often it is not the best technique for the situation. IKI Krav Maga - Keep in real. Jürgen Köhler I agree By 100% !! I came to IKI with a 15 Years Krav Maga background ... and YES i used (and loved) the knee kick. It becomes like a Reflex ... But did you ever used the knee kick in the Snow?? Or any other slipery ground ... THIS is the big difference between IKI and other KM -Systems ... IKI works every where! Own the books, order from CreateSpace, Amazon or directly from IKI.